Learning Kanji is a good sign that you’re a serious learner, well on your way to improving your Japanese and not diddling around forever in romaji and anime. People say you need to know 1,945-2,000 Joyo Kanji in order to comfortably read. So, how do you learn all that Kanji, Kanji, Kanji? Here’s a big list of learning strategies you should, or perhaps shouldn’t, use for your own studies. And please, feel free to comment below and add your own ideas. 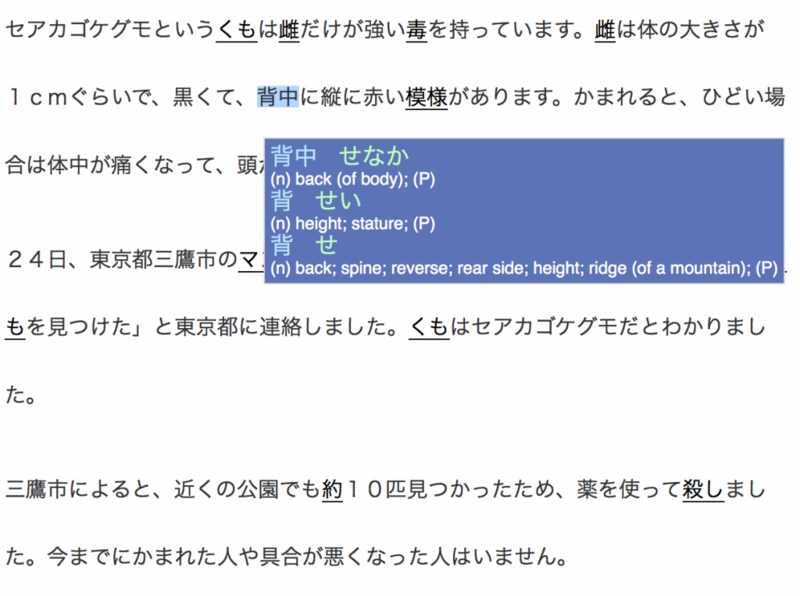 One popular form of studying Kanji is… getting an app that has a list of Kanji, and studying it flashcard-style – drilling the meanings of each single Kanji again and again – until you know them. The method is: you’re usually presented the character, its meaning and/or reading and you need to swipe, drill, and match until you have 100% success rate. This is often done with spaced repetition apps like Memrise or Anki. Sure, it can help you know readings for words you don’t know yet… but why not just go directly into learning vocabulary, which is the ultimate goal? Similar as #1, except here, you’re not focusing on one measly character at a time, but instead, focusing on vocabulary itself, and indirectly picking up Kanji. The method is similar, drilling words until you know them. Except here, you’re getting their kanji, reading and such. You can focus on vocab of certain topics: real life, food, business, etc. Ah, the old school, manual way. So, if you’re going through a textbook or just somehow, come across a new Kanji… you’ll need to remember it. But how? Collecting is the way to go. Currently, I don’t now of an App that allows you to collect & build lists (please let me know otherwise) for study & review. So, a notebook it is. The method is simple. Come across a new word in real life, textbook, or anime? Gots to note it down! You can look it up by radical with jisho.org and find the exact word that you were given. You can also learn the proper stroke order. I’m a fan of the notebook + pen method. But that’s just me. You can look up words based on your own interests & have personalized lists rather than follow someone else’s. Tedious and not efficient. Looking the characters up and then writing them up is work. Hell, I shouldn’t call this a bad point – the reality of language is that it’ll require work. But, you know, people don’t like work and expect things to be fun! Best way to boost vocabulary? Reading, hands down. Since Japanese vocab & Kanji go hand in hand, reading is a great way for general passive pickup of Kanji. And if you’re using Rikai-Chan or Rikai-Kun, and are reading online sites, you can get the translations on the spot. The method is simple. All you have to do is read, keep reading, and read some more. Come across a new word/Kanji? Look it up, get the meaning and keep on going. With enough reads, you’ll recognize it without a problem. It’s passive learning and it’ll take a while for you to remember it. 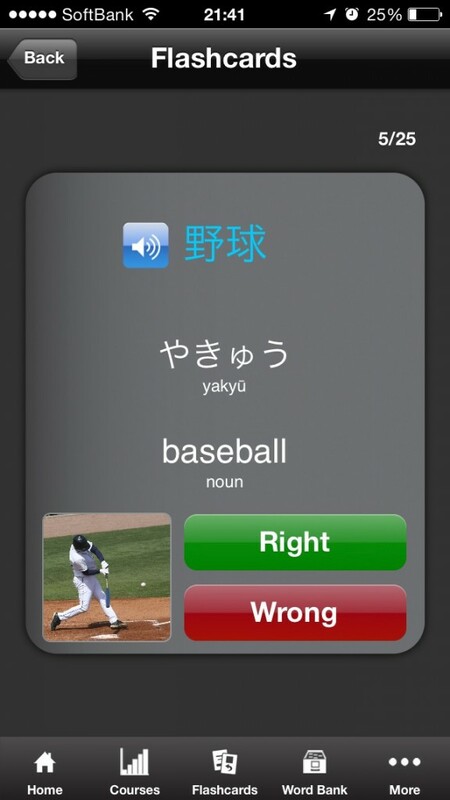 Okay, this is a MINOR tip but it helped me learn how to write Kanji, Hiragana and Katakana. Basically, you write the character out in the air. Why you ask? You’re applying more than one sense to the learning experience and you’ll be able to remember it better. 不 – can you tell? Basically, it’s a neurological phenomenon where other senses help you master a skill that’s considered mostly cognitive. For example, this would include geniuses seeing numbers as colors instead of numbers. However, this is a minor tip. Trust me, you’ve used association before. PEMDAS? WTF? All of these things stand for something. ROYGBIV? They’re acronyms that have bigger meanings (words) but you remember them easier because they’re acronyms. 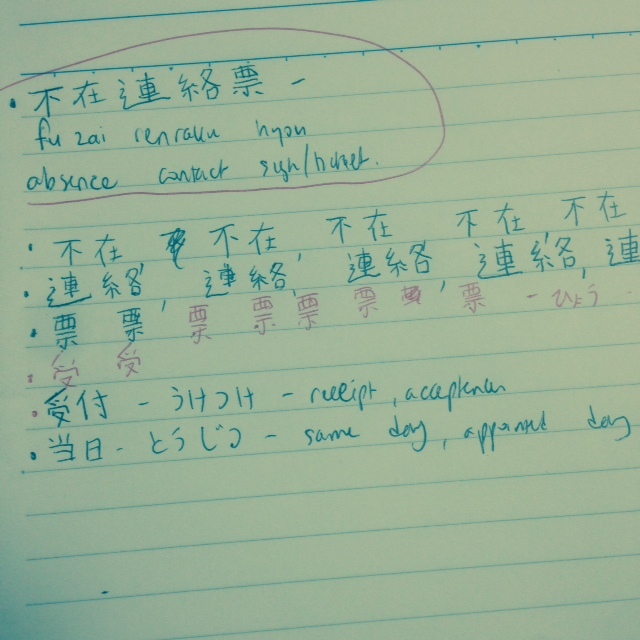 With association, you make something complex (cough, kanji, cough) simpler by associating it with something simpler. The method. So, how does it work? Here’s an example. 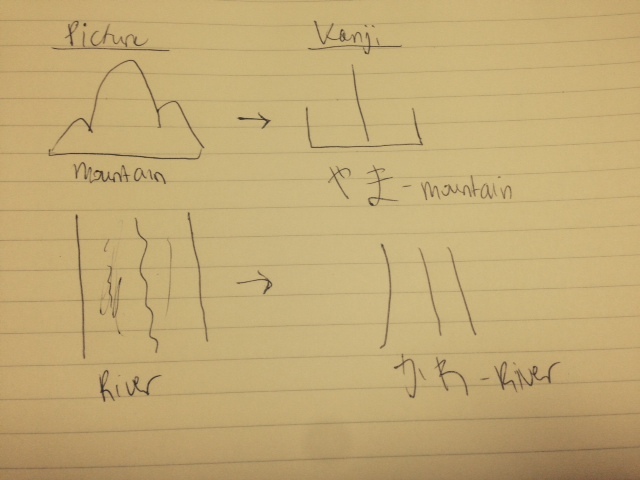 The Kanji for mountain and river are based on pictures – so they kind of look like a mountain and a river. But of course, not every Kanji is a dead obvious picture. What about more complex Kanji? Use your imagination. Let me give you one more example from my Association article. Example 1. 社長, shachou meaning BOSS. 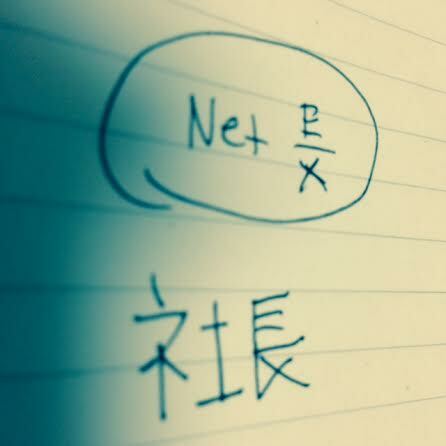 The way I remembered 社長 was by calling it “net e/x” or “net e over x.”Why? The first Kanji, 社, has what looks like a Katakana “ne” or ネand the part right after it, looks like the letter t that’s underlined. Thus, net. The second Kanji, 長, looks like a fraction to me… E over X. And so, it was titled as such. So, in this case, I am using the following concepts to make an association. This means you can use anything you want to create an association that’ll help you remember Kanji better. It’s a lot less painful than memorization. Requires you to be creative. Too much brainwork for some. Believe it or not, Japanese students in actual classes get these despite all the apps out there. Why? I’d assume they’re more efficient when you’re dealing with textbooks, workbooks, and other physical learning material. Plus, the teacher would prefer if you didn’t diddle with your iPhone instead. I’ve actually never used one but saw other students use them. What other effective (OR NOT) ways of studying Kanji are there? Dictionaries? Paper flashcards?